We hope you've marked your calendar to join in with our Melanie sew-along!! Today, we’re talking supplies, so you can gather what you need before we get started on October 19th. 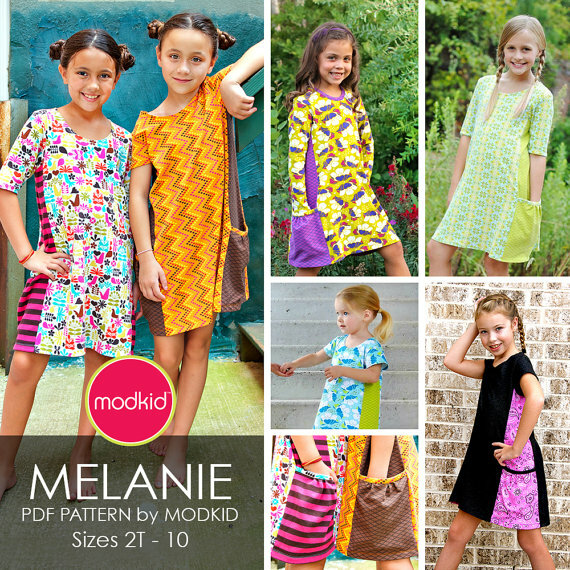 First and foremost, you will need the Melanie dress pattern. Remember, coupon code MELSAL2015 gets you 30% off your entire order in the Modkid Etsy store. The coupon code expires on Monday, October 19th at midnight EST. The suggested fabrics include: Stretch knits only - cotton interlock, jerseys, matte jerseys, lightweight double knits, stretch velvet. 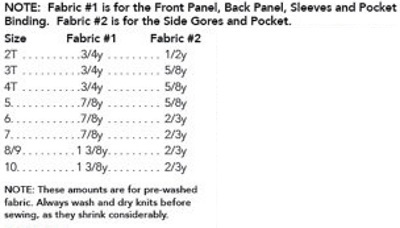 The chart below is based on 58"/60" wide fabrics.